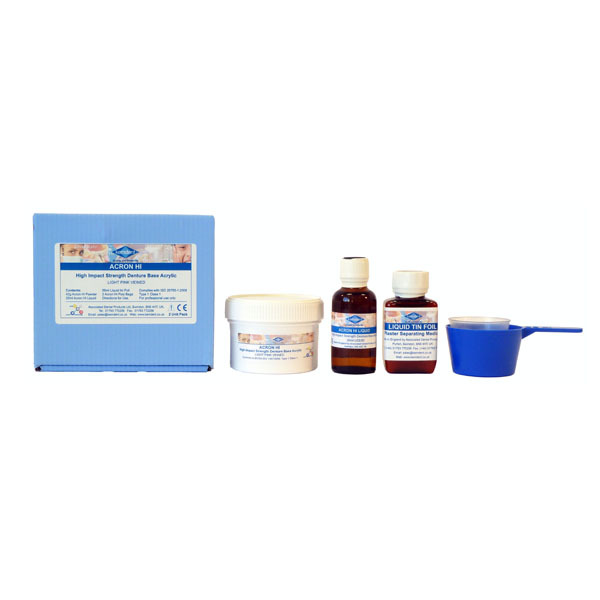 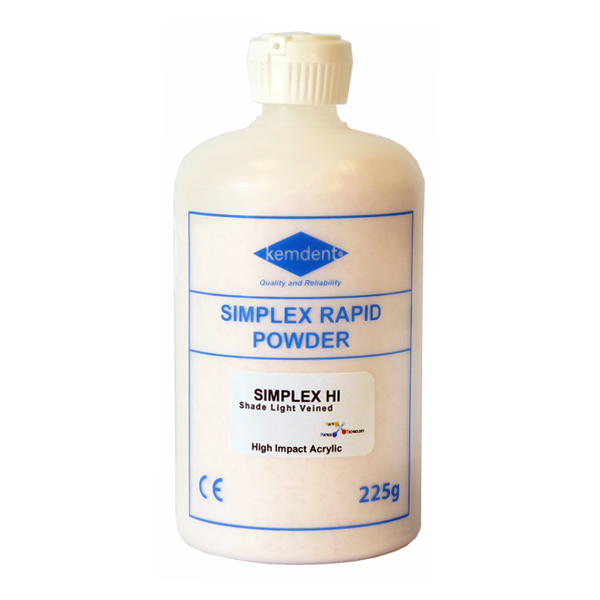 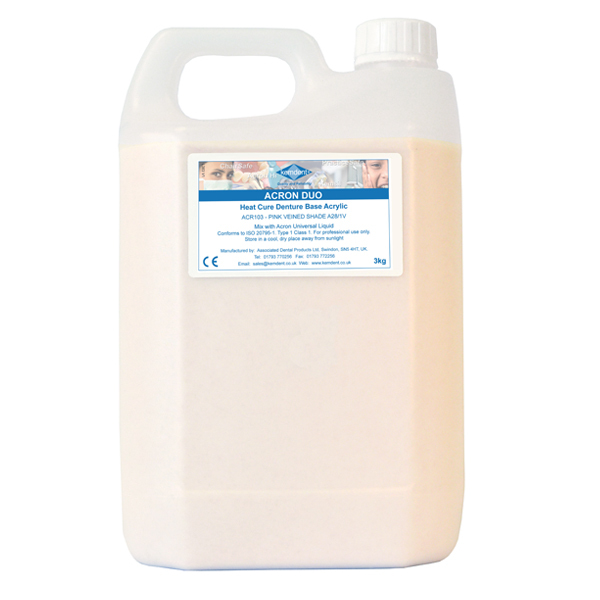 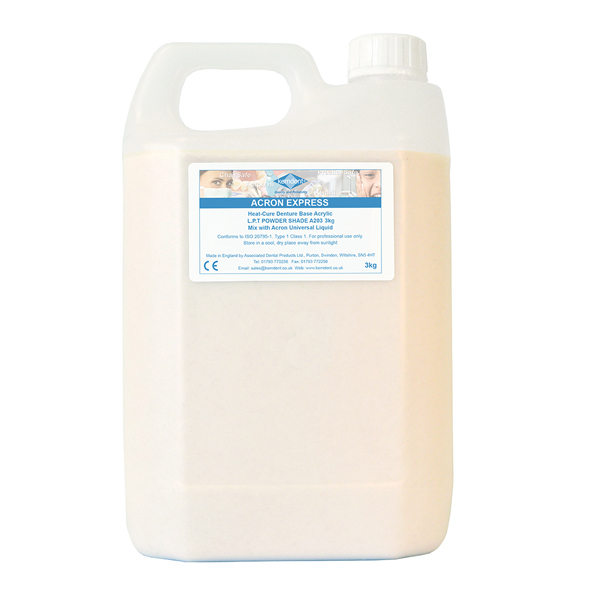 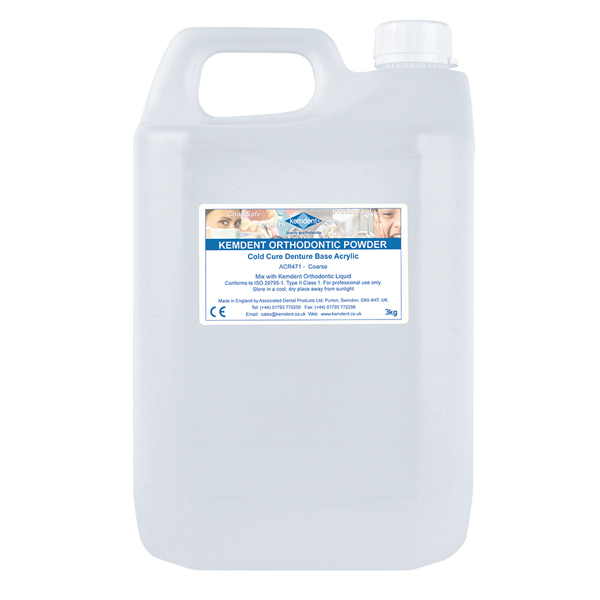 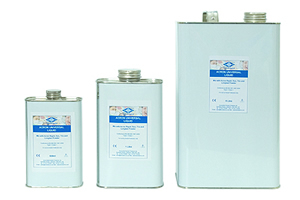 A range of both heat cure and cold cure denture base acrylics, designed for the manufacture of full or partial dentures. 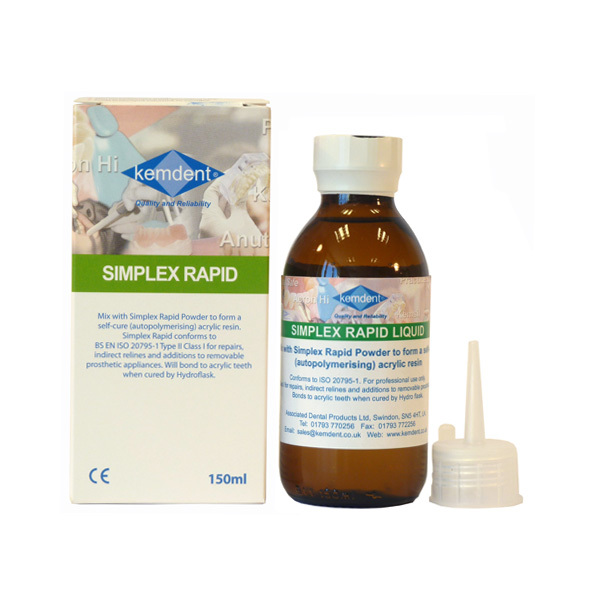 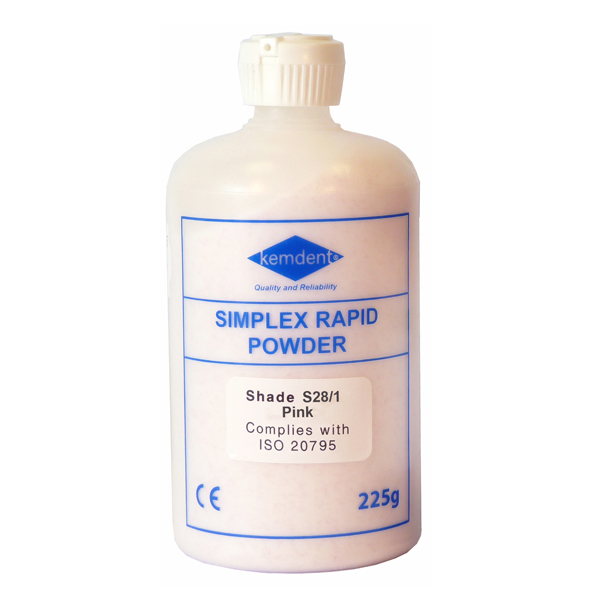 Designed to produce dentures with exceptional high strength, high lustre finish, easy to trim and polish. 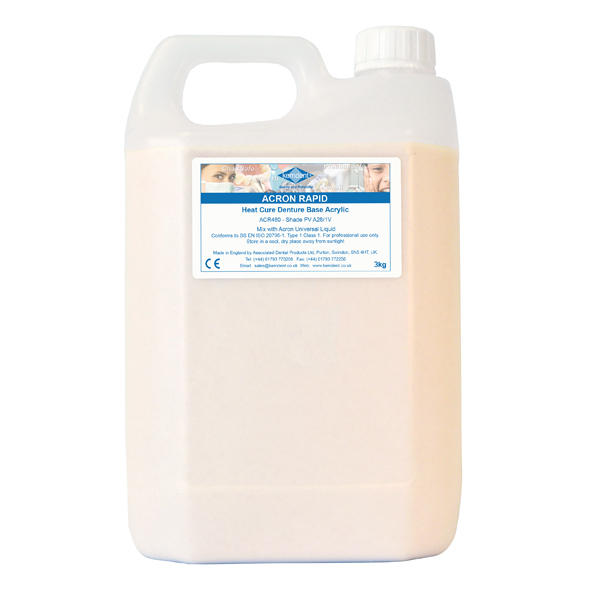 Acron Acrylics are available in a selection of aesthetic shades.